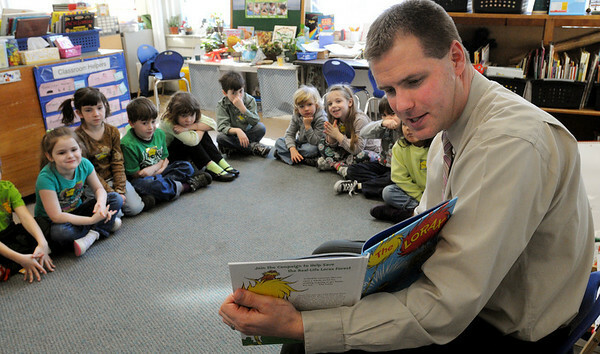 Bryan Menegoni, assistant principal at Hamilton-Wenham High School, reads "The Lorax", by Dr. Seuss, to Jeannie Knox's full day kindergarten class at the Buker School. He was one of the community readers participating in the Read Across America celebration at the school. Photo by Ken Yuszkus/Salem News, Thursday, March 17, 2011.